Something funny happened on the way to this century’s big, new electric transmission build out. North America got religion about local energy. Consider this headline in yesterday’s New York Times, “Fight to Keep Alternative Energy Local Stymies an Industry.” The article talks about the 3,100 miles of transmission line projects awaiting approvals. Many of the projects face citizen opposition; some have been halted. Of course, NIMBY-ism is nothing new when it comes to transmission development. But gone – or rather quieter — are the old reasons, such as fear of electromagnetic fields or ‘We want clean energy instead.’ In fact, many of these lines are designed to move wind energy from remote plains to densely populated regions. Clean energy or not, they are running into community opposition. This opposition appears to be arising from a “conflict of vision,” with those who favor “sprawling” energy on one side and local energy on the other, according to the New York Times. “Some energy officials and executives say there is a more dynamic and resilient alternative to these sprawling networks. Instead, they are promoting the development of less centralized systems that link smaller power installations, including rooftop solar, storage and electric vehicles, an approach known as distributed generation,” says the paper. None of this is surprising. For whatever reason, we live in an era that is charmed by all-things-local. 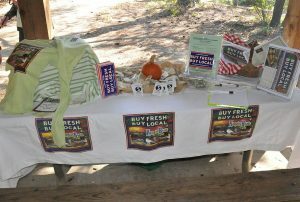 One need look no further than the ‘buy local’ or local food movement. A finding issued this week by ISO New England offers an interesting indicator of what’s to come for local energy. Often on the forefront of national energy trends, the six-state grid operator finds that over the next decade New England is likely to develop a ‘hybrid grid’ with up to 20 percent of resources coming from smaller power resources connected directly to retail customers or to local distribution utilities—and not the transmission system. As a form of local energy, microgrids stand to benefit from this trend. But is the industry’s messaging tapping into the local energy sentiment enough? 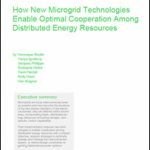 The industry tends to promote other benefits that microgrids offer: cost savings, use of green energy and power reliability. All true and all valuable. But the time may be right for the industry to herald the microgrid’s local energy attributes as well. Microgrids use power that is generated onsite. They do not require construction of transmission lines to deliver electricity to their customers. And perhaps most important, microgrids open up the opportunity for a local community to make its own decision about the kind of generation it consumes. When a plant manager or store executive is sitting across the table from the microgrid sales team, the ‘local energy’ pitch may not be the deciding factor that closes the deal. Cost savings and reliability are more likely to be. But equating microgrids with ‘local’ could significantly boost installations over the long term. The local message is likely to resonate with consumers and voters – groups that help influence government policy decisions. Consider what happened with rooftop solar. Its meteoric growth didn’t happen just because solar prices fell. People like solar. Most local and state governments like solar. That’s at least partially because solar advocates in the early days messaged solar’s benefits to the broader consumer — even when it was mostly big box stores doing the buying. As a caveat, it’s important to note that microgrids aren’t going to make big energy go away anytime soon. New England, for example, still forecasts a $4.2 billion investment in new or upgraded transmission through 2020, in part so that it can reach its renewable energy targets. “To be able to deliver more power from existing wind resources – as well as to access more Canadian hydropower – significant additional investment will be required in electric transmission infrastructure,” says the ISO-NE 2016 Regional Electricity Outlook. But local energy is likely to become a significant part of the national energy mix. The New York Times cites an estimate that the U.S. will need a $900 billion investment in transmission and distribution by 2030 to meet renewable and information economy goals. Apply ISO-NE’s 20 percent estimate to the nation, and that leaves $180 billion for local energy – which could build a lot of microgrids. What’s the future of local energy and microgrids? Discuss the issue with industry peers at Microgrid Knowledge’s May 19 conference in Manhattan. Registration details are here. Still no discussion of the role exiting building inventory after retrofit might play in load reduction and how local generation could play a larger role..
We are demonstrating a village ecodistrict microgrid on Cape Cod, based upon our community need to address clean water act requirements. By capturing the biogas potential of the wastewater stream and the utilization of algae photosynthetic aeration we create a renewable energy resource from our community waste stream we can utilize the cogeneration for district energy, underground electric installed during sewer installation,along with high speed data, reducing the cost of sewer and district energy and internet connectability while creating a highly resilient infrastructure in the event of severe summer or winter storms. The biogas is bended with pipeline gas to provide a reasonable installed capacity of baseload renewable energy for the microgrid. The microgrid is connected to the grid as a sustainable resilient node, rather than an island in the system.